If you’re somebody who often uses power tools, you probably have a favorite brand. For millions of people, that brand is Milwaukee. It’s one of America’s most famous power tool manufacturers and a company that produces a wide array of products -including reciprocating saws. As a member of Milwaukee’s flagship FUEL lineup, the 2720-20 is a cordless, heavy-duty model with a serious amount of power and exceptional design. With features such as the adjustable shoe, rafter hook, keyless blade change, battery gauge, over-molded handle, LED light, and a 5-year warranty, it’s a genuinely attractive deal, and a reciprocating saw that every handyman would like to have in his workshop. If you’re in need of this type of a tool and are looking to buy one, keep reading. We’ll take a thorough look at this model’s features and try to determine its advantages and flaws. With a POWERSTATE brushless motor at its heart, Milwaukee 2720-20 is quite powerful and easily cuts through materials such as galvanized steel, plywood, and pressure-treated lumber. Its corded-like performance is the most impressive thing about it and something that could turn it into a real game changer for the industry. Manufactured from rugged materials, the model is also very durable and can withstand severe job site abuse. Its design is a standard Milwaukee one, with a rubberized handle that prevents slippage and vibrations and some additional features (LED light &battery gauge) that increase the overall convenience of the tool. Red and black just like all Milwaukee power tools, this reciprocating saw possesses a design that promotes ease of use. Although it is somewhat heavy (7.4 pounds), the model is still quite easy to maneuver with and should not give you any trouble with its dimensions. The saw is very rugged and durable -you won’t have to worry about impact damage at all. One thing we’re particularly pleased with is that Milwaukee decided to equip this model with all additional features they could come up with. The unit’s rafter hook, for example, allows quick and easy storage on the job site. The LED light and battery gauge, on the other hand, provide illumination in darkness and make it easy to check the remaining juice. The trigger lock also deserves a mention -it provides the necessary safety when crawling in a crawl space or going up the ladders. 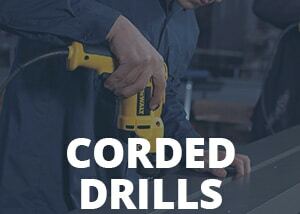 The 2720-20 is a seriously powerful machine -it provides corded-like performance in a cordless form. The unit’s brushless engine allows the tool to achieve the maximum of 3,000 strokes per minute, which is more than enough to make short work of any task. With it, you’ll be able to cut through copper pipes, PVC, metal, framing nails, plywood, as well as pressure-treated wood. Pretty impressive, wouldn’t you say? Another praiseworthy feature of 2720-20 is its QUIK-LOK blade change system. As you already know, changing blades on some tools can be really tiresome, especially when you’re required to use special tools to loosen the clip, bolt, or chuck. Fortunately for the more impatient handymen, this reciprocating saw comes with a keyless blade clamp -switching out a metal blade for a wood one can be done in a matter of seconds. Like all other M18 FUEL tools, the Milwaukee 2720-20 also operates on the REDLINK Intelligence system, which uses total system communication between the device and its battery and provides better performance and overload protection. This reciprocating saw uses the company’s REDLITHIUM battery packs, which are among the better ones on the market due to their excellent performance and durability. We advise going for the largest battery possible (XC 5.0) if you’re planning on doing a lot of cutting with 2720-20. It’s pretty easy to love Milwaukee 2720-20. Built from durable materials and having a form & fit that feels great in hands, it’s an easy-to-use reciprocating saw that causes no aches or fatigue when being used for longer periods. Performance-wise, it’s one of the most impressive tools in the M18 FUEL lineup. The combination of a brushless engine and REDLINK intelligence system means that you’ll be able to complete every cutting task in no time. The model cuts through wood, plastic, and metal like a knife through butter -what more could one want from a reciprocating saw? We were also pleased to see a number of additional features, such as the hanging hook, the battery fuel gauge, and the LED headlight. All of these additions make 2720-20 even more convenient and can be extremely useful in certain situations. Besides the saw being somewhat cumbersome, we were displeased to see that its blade release is made out of plastic. The unit’s blade lock piston can get hot during operation and melt the blade release mechanism once it comes into contact with it. Most of the people who bought this reciprocating saw are pleased with its construction quality and performance.They say that it completes even the toughest cutting jobs without a hiccup and that it is very rugged and versatile. They also praise the unit’s tool-less design and extra features. The pros easily outweigh the cons of this model -it’s an excellent power tool and one of the best in Milwaukee’s M18 FUEL lineup. The combination of a durable design and corded-like performance make 2720-20 a tool worth investing in, especially if you’re looking for a heavy-duty reciprocating saw.